Invention requires failure, and we appreciate that you have to crack a few eggs to make an omelet. That doesn’t mean a commercial kitchen should be sending shell-filled omelets out the door to customers, however. Here are 9 real-life features that not only made it into the concept phase but actually showed up in production model cars throughout the years. 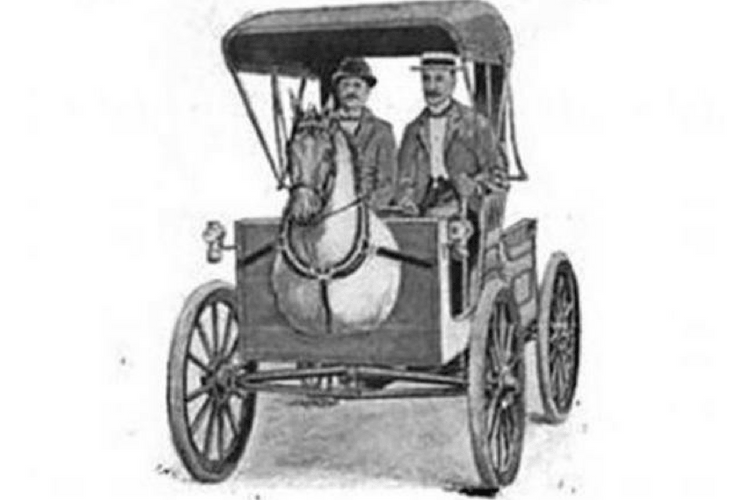 At the dawn of the 20th century while cars were only for the rich and horses were the dominant mode of transportation (a trend that has reversed itself in the last 100 years) many feared the new technology would spook the animals. The obvious solution? Strap giant fake horse heads onto the fronts of cars! Not only is this idea straight from the nightmare factory, but the geniuses behind it wanted to be practical as well. To that end, they stored extra fuel in the hollow horse head which caused explosions when the cars crashed. The idea never truly caught on, and eventually, the horses got off the road. So you’re telling me I can get a car with a pop-out windshield, and that’s a good thing? Hard pass. Before we realized that combining booze and driving was a pretty bad idea, Cadillac was out there with this magnetic mini bar to ensure that your cocktail didn’t slide all over the place while you were cruising around town. Word on the street is that Frank Sinatra owned two of these bad boys…because of course he did. 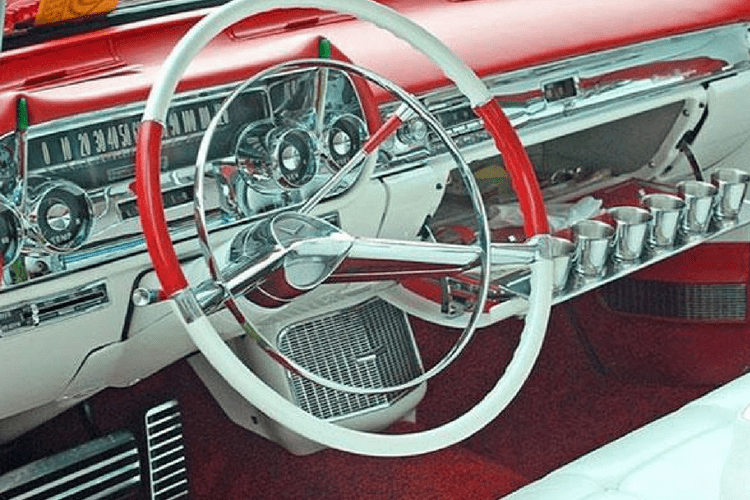 What if you don’t want to listen to the radio when you’re cruising down the road, but it’s 1950 and portable music hasn’t been invented yet? 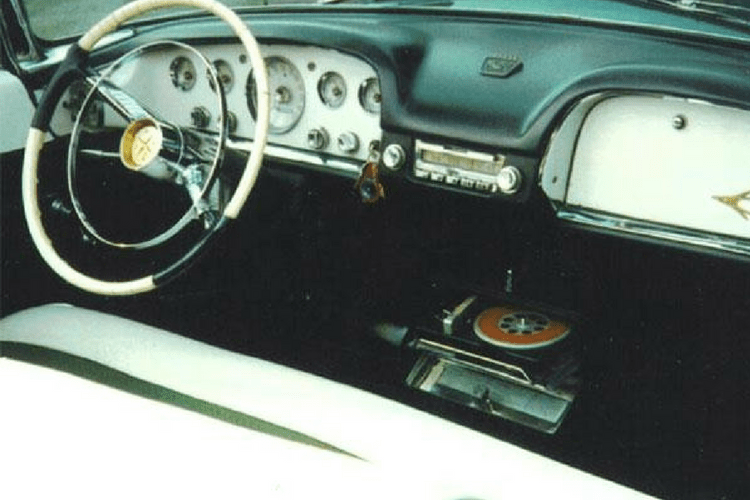 You buy a Chrysler with a record player in the console! But doesn’t the needle jump around while you’re driving? The engineers thought of that, so the stylus presses down extra hard on the record to prevent skipping. But doesn’t that ruin the record? Yes, yes it does. What happens when you’re driving down the road and the kids get out of line? You threaten to ‘pull this car over right now!’ but really, we’re all trying to make good time and we know we’re probably stopping for a bathroom break within 30 minutes anyway. In the end, over the shoulder scolding is typically the extent of car-bound discipline. 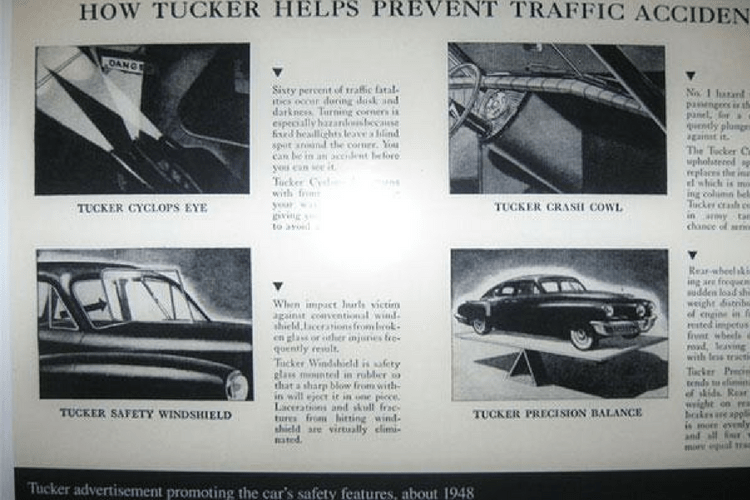 Thanks to Buick and this insanely pointless feature mom or dad can swivel around and lay down the law. Swivel seats were not uncommon at the time to make getting in and out of the car easier, but the full 180 from Buick is totally random. 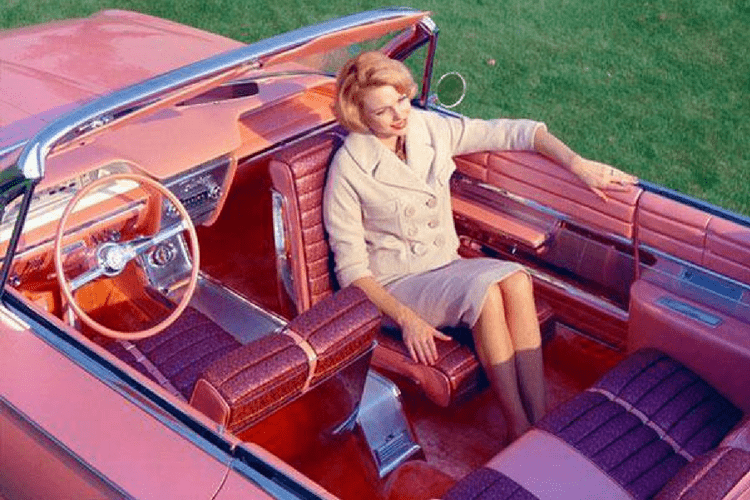 Just in case you were wondering about the raging sexism in automotive design and manufacturing, Oldsmobile decided to make this stunning invention. 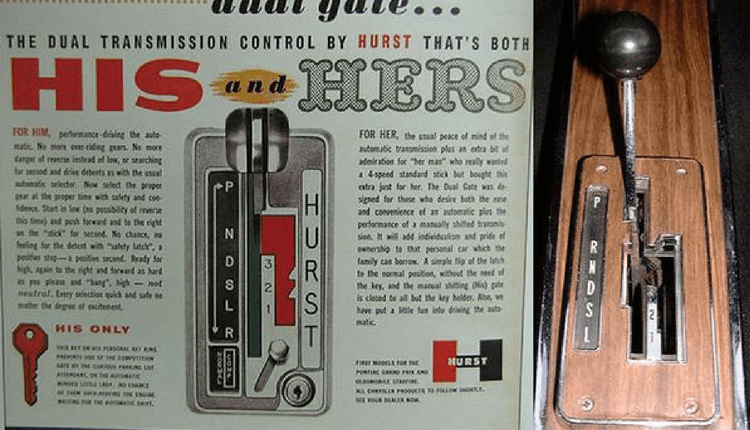 Based on the theory that women wouldn’t want to be bothered by changing gears while driving, the Hurst shifter allowed the operator to put the stick all the way over and access all three gears. Thanks for setting society back a hundred years Oldsmobile. A lot of manufacturers in the 60’s and 70’s thought there was money to be made if they could produce a road-worthy car that could also float through water. 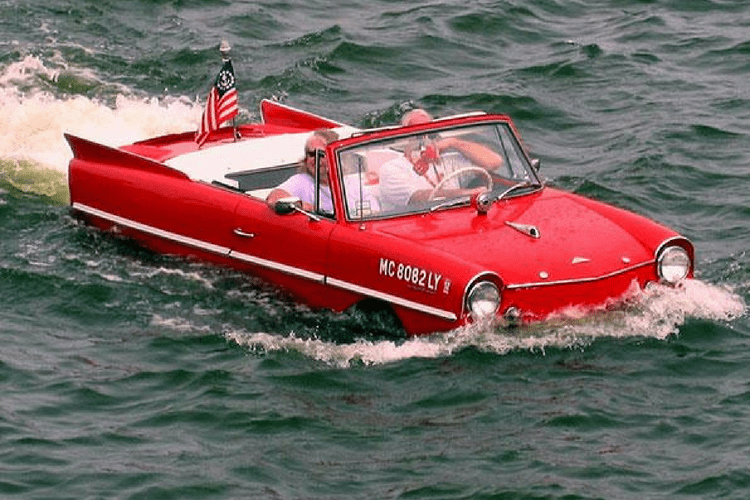 The most notable production model is the Amphicar which sold from 1961-1968 and shockingly, it was not a great car or boat. If the bilge pump malfunctioned, it sank immediately – and the demand for such a vehicle was nowhere near the estimates of pioneering manufacturers. There are still quite a few Amphicars slowly making their way through ponds and lakes today thanks to a few die-hard enthusiasts. Apparently, a conversation like that happened at Reliant in the 1970’s and they began manufacturing a car that needs to be weighed down with a bag of cement to keep from tipping. 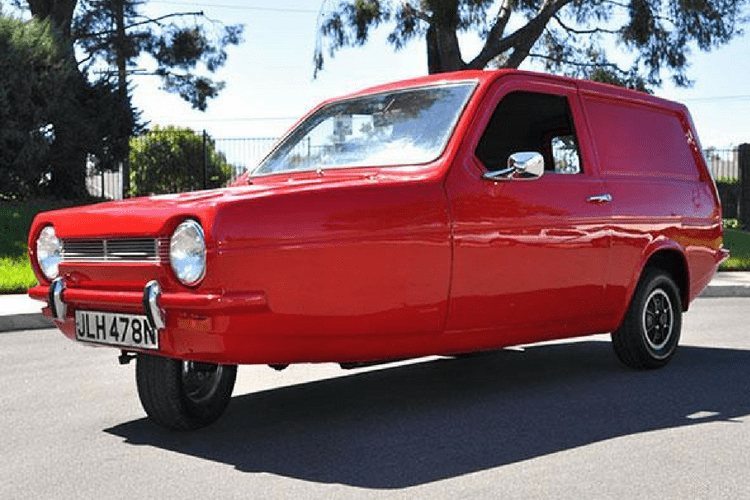 Despite this, the Robin stayed in production for 30 years and has a dedicated cult-like following. Woah, did Fiat call some of the engineers from the 1950’s out of retirement? 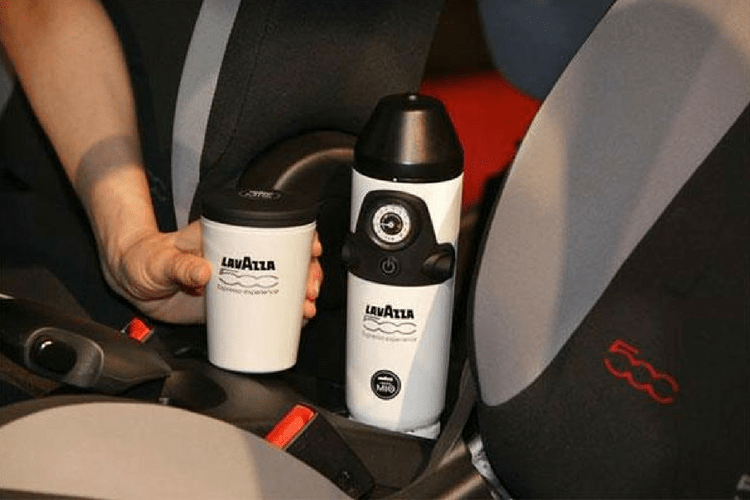 Drivers everywhere are wondering how to get a mediocre cup of coffee that they can then spill on themselves and their seats while driving. Well, wonder no more. Would you drive a car with any of these features? Tell us in the comments!